Your favorite launcher which includes 4 persistent apps plus the 3D app drawer is back and available in the market for your Motorola Droid! (I told you this was going to be a great week didn’t I?) 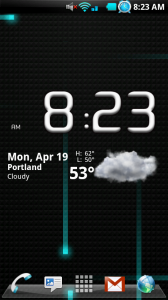 Yep, the HelixLauncher 2 is back and fully working on the Droid. As you’ll notice from the screenies I just capped, the launcher button has in fact been moved back to the middle. And why is that? Because Droid Life readers said that’s where they wanted it! 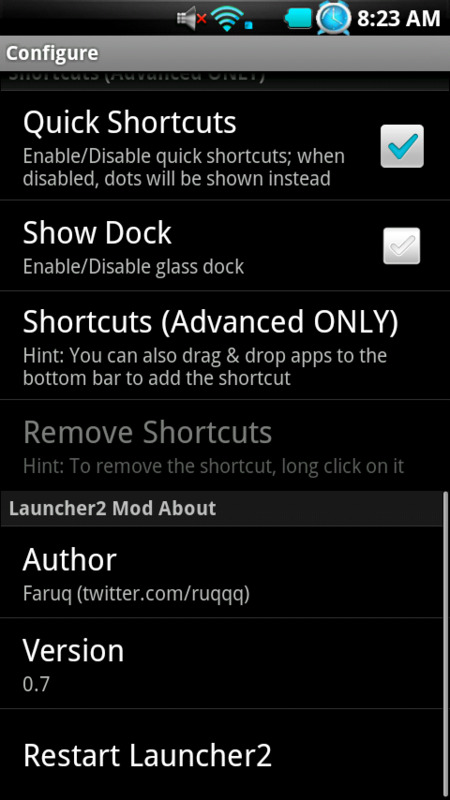 You’ll also notice that you can remove the glass dock from the app bar which was a nice touch from Faruq. 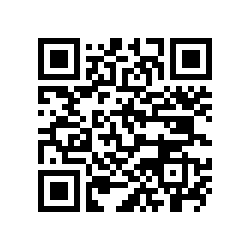 *Note 1* – This app is for everyone! Rooted and non-rooted users. *Note 2* – If for some reason you are seeing force closes, try removing widgets from other launchers.